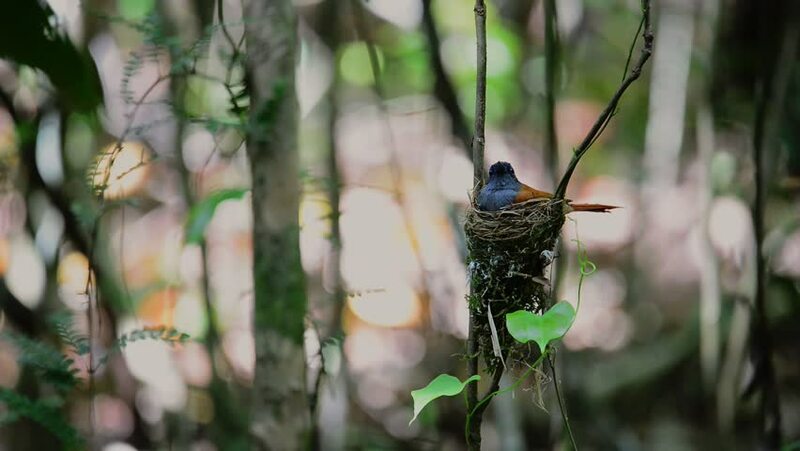 Asian paradise flycatcher flying female in brown color and male in white color taking care their eggs in the nest alternately, hd video. Father and mother bird duties. hd00:13Birds incubating eggs alternately. Beautiful bird, Asian paradise flycatcher,white plumage,male flying off while rufous female flying in brooding eggs in their nest,love concept.